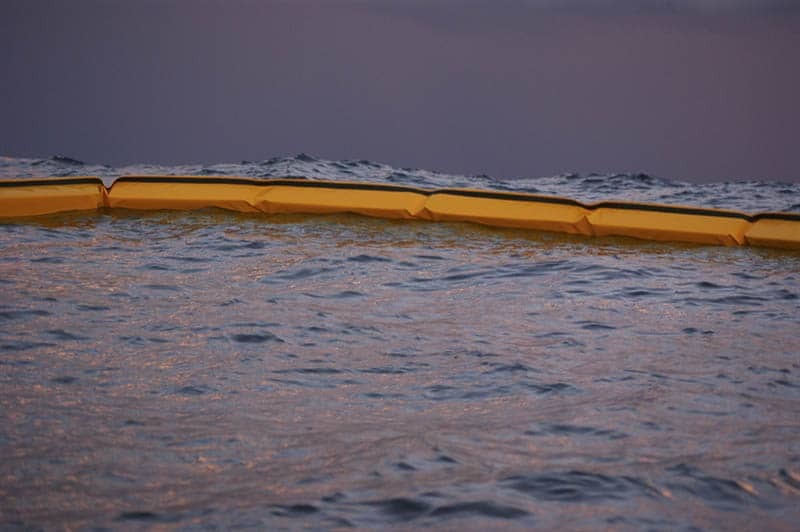 To custom design an ocean boom that would withstand an ocean environment in the Gulf of Mexico. BP requested a 26″, 38″ and 42″ prototype to test and commission for use in these rugged conditions. 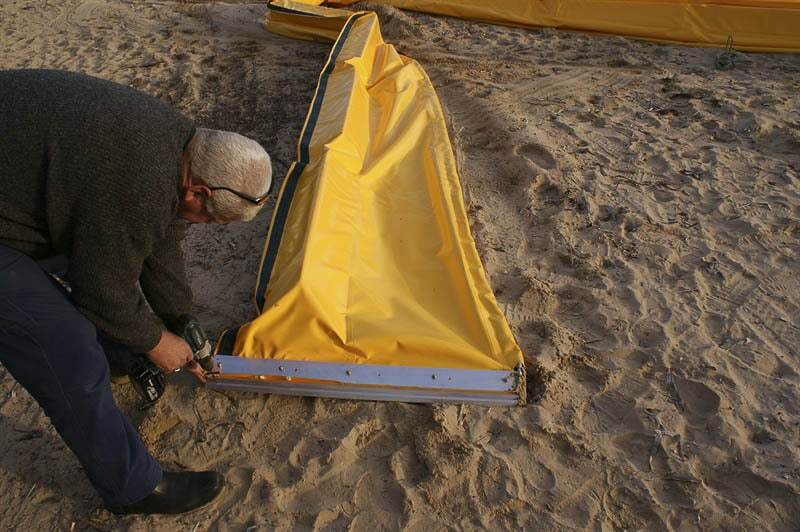 Large ocean boom designed to tolerate and protect against ocean conditions with high freeboard balanced by deep skirt and ballast. Provided the lengths required, the boom was commissioned for work in Assise Chinese factory for transport by air. Product capacity and project management / logistics instrumental in meeting BP’s demand for boom at unprecendented levels.